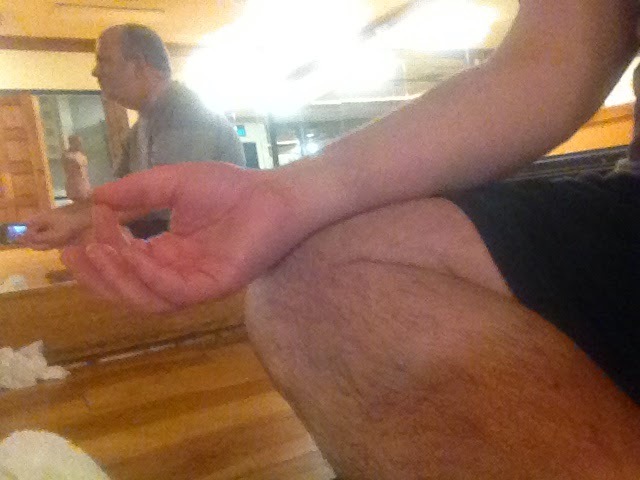 Trying, in vain, to meditate before my Vinysana Yoga class. Check out the boxing BOB looking at me in the background. Now that my exercise restriction has been lifted I have returned to hatha yoga three times a week. The first two sessions felt like I hadn’t been practicing in three months though it had only been about three weeks. During inversions I could actually feel pressure on my scar! It’s great to get back into the swing of things though I still do not practice as often as I would like. I have attempted mindful meditation, but my tangential brain won’t allow it at this time. 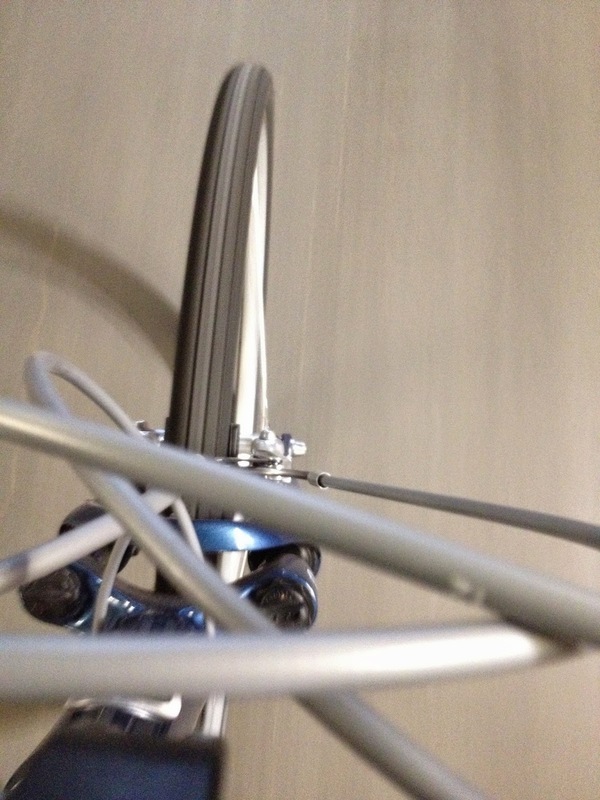 I’m back on my bike, too. That return has not been as dramatic on my body as yoga has, though it it is amazing what a difference three weeks can make when it is near the Autumnal Equinox. My rides home from the club are now in total darkness and the skunks are out. Drag! I have forgone the bike trail on my ride home after yoga, but not on my ride in, which are just as dark. A skunk crossed the bike trail in front of me just a few days ago. I don’t know if the light on my bike attracts them or just does not scare them off. One time, about a year ago, a skunk ran along side of me! It would have been funny if I wasn’t so afraid of getting sprayed.